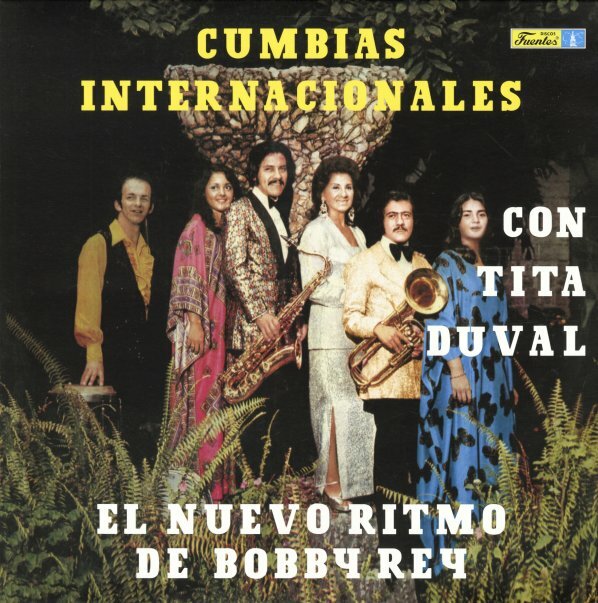 A cumbia record with a very unusual groove – served up by Argentine star couple Tita Duval and Roberto Rey, who were both living in Colombia during the 70s – where they clearly felt free to mess with lots of the usual modes of the local style! The record's definitely a cumbia set in its rhythms – but instrumentation and other elements change up nicely throughout – so there might be moogy keyboards on one track, a weird Varitone sax on another, and all these other groovy, funky touches that come into play over the course of the very cool record – a sense of musical freedom that hardly made the record a hit at the time, but which makes it plenty darn great all these many years later. Titles include "Safari Safari", "Zombie Rock", "Batukacuto", "A Mi Modo", "Claudia", "La Cumbia Mujer", "Noche De Cumbia", and "Hombre Pobre". © 1996-2019, Dusty Groove, Inc.